LILLY DALE — Everything in life is temporary and in a constant state of change. Human suffering is caused by attachment to things — by desire to have experiences last forever. Therefore, the way to happiness is to learn the art of letting go. These are a few of the principles of Buddhism, beautifully illustrated in the form of a sand painting by a group of visiting monks at Lilly Dale Assembly, who began three days of events during an opening ceremony Saturday morning. The monks are from the Drepung Loseling Monastery in India. After the ceremony, the monks began the painstaking work of creating a mandala, an intricate sand painting made with tiny funnels and millions of grains of colored sand. The completed mandala will honor the Medicine Buddha. It’s a kind of meditation that combines strong concentration. 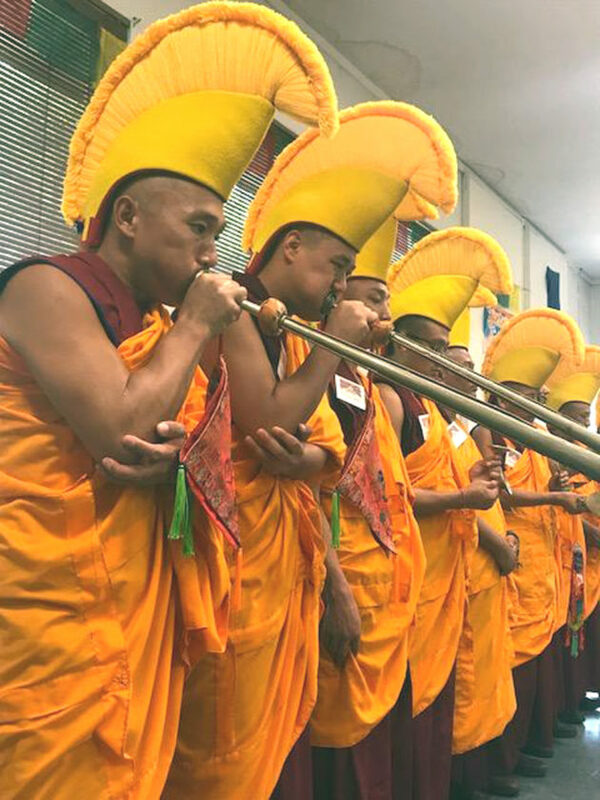 For days and sometimes weeks, these 10 monks spend up to eight hours a day working on one mandala sand painting at various venues across the U.S., which become spectacular works of art. Then, to illustrate the impermanence of life, they will deconstruct it on the third day in an elaborate ceremony that involves sharing the sand with participants and then casting the rest of the granules into Cassadaga Lake. The mandala itself is a spiritual representation of the universe, from way out in the cosmos to the intricacies of the human mind-the outer and the inner worlds. Deconstructing something so beautiful soon after it is finished teaches participants about the impermanence of things, that nothing beautiful lasts forever. Each mandala begins as a drawing, where colored sand is poured from traditional metal funnels called chak-purs. Each monk holds a chak-pur in one hand and creates a vibration with a metal rod that causes the sand to flow like liquid. The monk’s believe casting the sand in a body of water after it is deconstructed will send healing blessings to wherever the water flows. The monk’s three-day visit includes an interesting array of activities including a Medicine Buddha Rite early Sunday morning and a closing ceremony on Tuesday that often marks the climax of the monk’s visit where the mandala is deconstructed and is followed by a procession to the lake. According to Copley-Nigro, the monks enjoy their yearly visit to Lilly Dale. 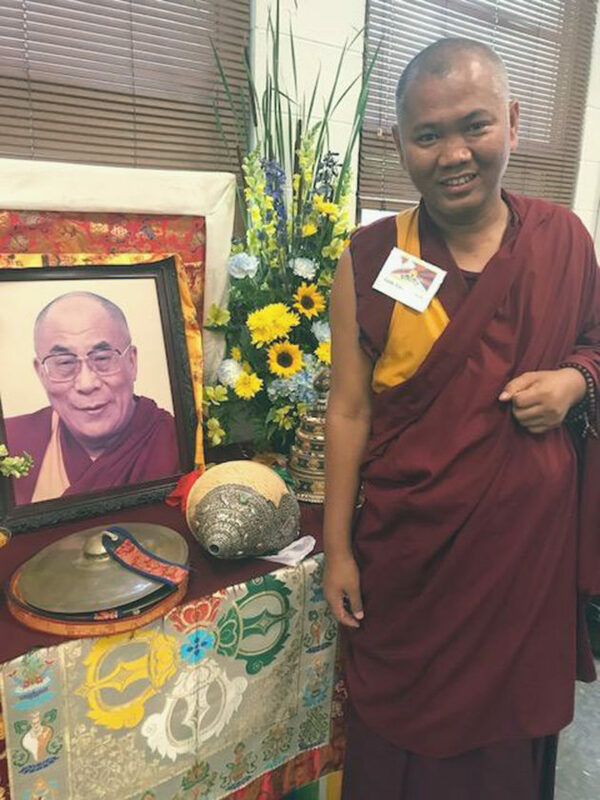 For a list of events during the monk’s visit, visit lillydaleassembly.org.